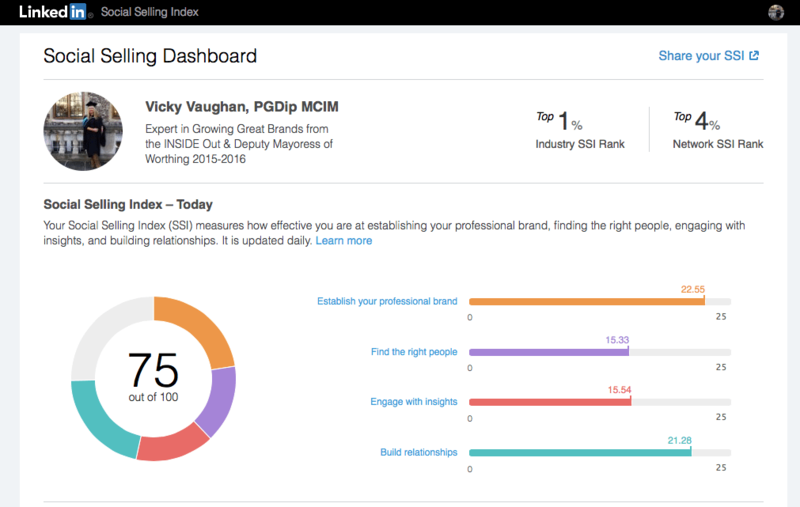 In the top 1% Industry ranking amongst Sales professionals in the Marketing and Advertising industry. In the top 4% ranking amongst people in our network. +73% of B2B buyers prefer sales professionals who have been referred by someone they know. +87% of B2B buyers said they would have a favourable impression of a salesperson who was introduced to them through someone in their professional network. +81% of buyers are more likely to engage with a strong professional brand. +92% of B2B buyers engage with sales professionals if they are known industry thought leaders. +45% Sale reps that exceed quota saved 45% more leads than those that didn’t. 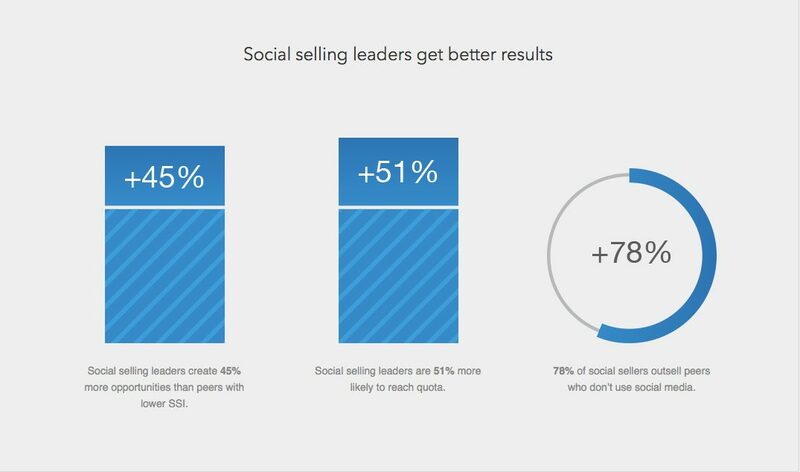 +69% Sales reps who viewed the profiles of at least 10 people at each of their accounts were 69% more likely to exceed quota. +64% Nearly 64% of B2B buyers report that they appreciate hearing from a salesperson who provides knowledge or insight about their business. +70% You are 70% more likely to get an appointment or an unexpected sale if you are a member in LinkedIn Groups. 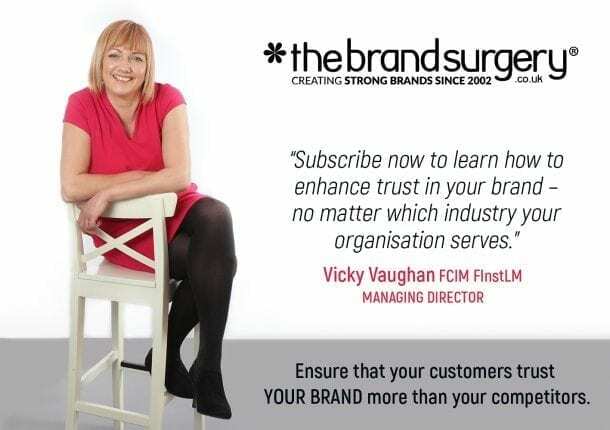 If you are looking to build or improve on your SSI – get in touch, we can create impactful branding solutions for your business from the INSIDE as well as helping you to forge super strong leadership within your teams with our executive coaching expertise. 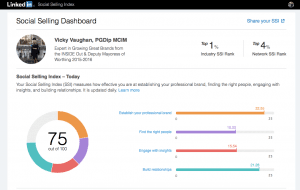 Wouldn't you like to improve your Social Selling rankings?